Gold is so hip and trendy right now, so I couldn't resist incorporating some gold elements into my design. The snowflakes, die-cut from red felt and shimmery gold paper, are from Let It Snowflake by My Favorite Things. 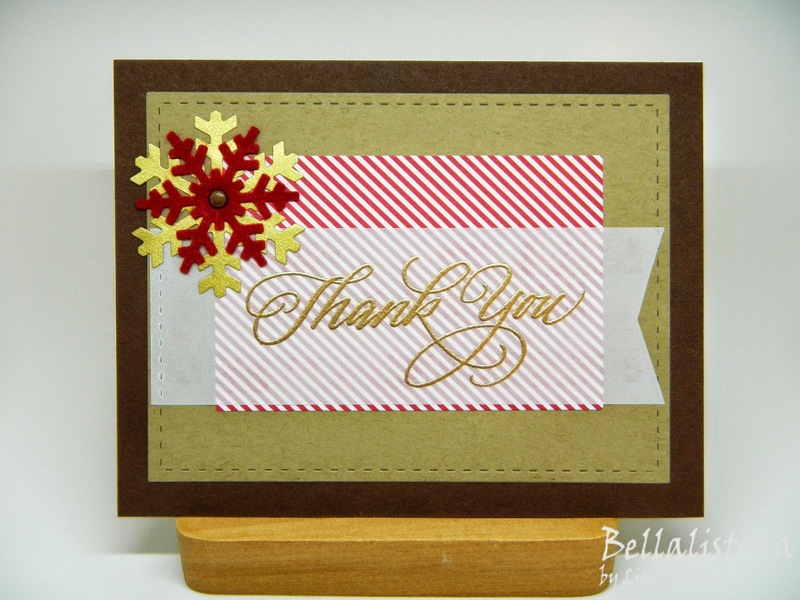 And the sentiment, embossed with Queen's Gold embossing powder (my absolute favorite from Ranger), is by DeNami Design. I hope your week is off to a fantastic start! Beautiful card, Lisa! I need to get back to doing the MFT challenges--thanks for the inspiration! This is so pretty. I love the gold and red together. Hi, Lisa! SO MUCH gold at CHA. It was mesmerizing. :) This looks like a great Thank You card to send right after Christmas. 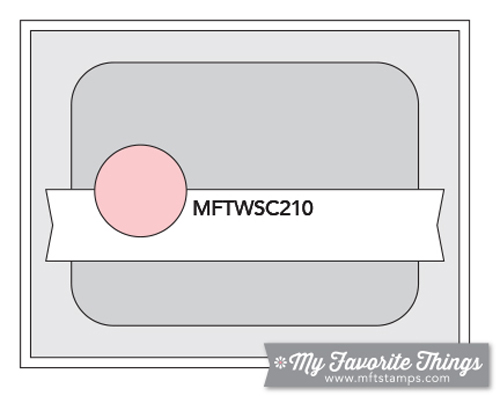 Thanks for playing along with the MFT Challenge & Inspiration Blog.